Does It Matter What Kind of Toothpaste You Choose? Are today’s toothpaste ads really so different? Each brand still insists that it’s better than the rest – because it has fluoride or baking soda or peroxide or nanosilver or Xylitol or triclosan or whatever. But truth be told, toothpaste doesn’t do all that much to keep your teeth and gums clean and healthy. In fact, one study, published in the Journal of Periodontology, actually found brushing without paste to be more effective than brushing with it. Researchers concluded that brushing without toothpaste was more effective in removing plaque from the front surface of teeth. The mechanical action of brushing (moving the brush up and down or sideways) may have been the main factor in determining effectiveness of plaque removal, they said. This is why cleaning technique matters. Brushing (and flossing) breaks up the biofilm (“plaque”) that forms on your teeth between cleanings – and that’s the key, not necessarily what you break it up with. Our ancient ancestors used things like chew sticks and twigs. Even today, at least one entrepreneur is marketing Miswak twigs as an eco-friendly alternative to regular brushing. 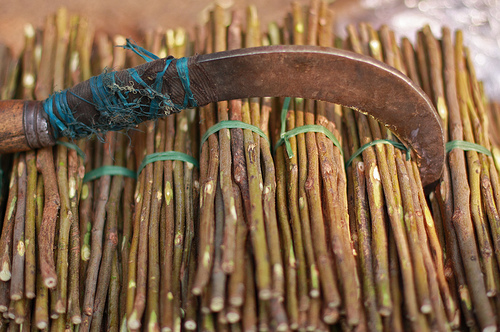 In India, twigs of neem – which has antimicrobial properties – are still commonly chewed to clean the teeth. What toothpaste does offer is grit – silica, calcium carbonate, chalk, alumina or other abrasive to help break up the biofilm. Abrasives can also help remove stains from the teeth, but sometimes at a cost to their enamel, as results of a recent study in the Journal of Clinical Dentistry suggest. Of course, toothpastes contain more than abrasives. Most mass market toothpastes contain fluoride, foaming agents, detergents, humectants, thickeners, flavoring and sweeteners. Not all of these are benign. 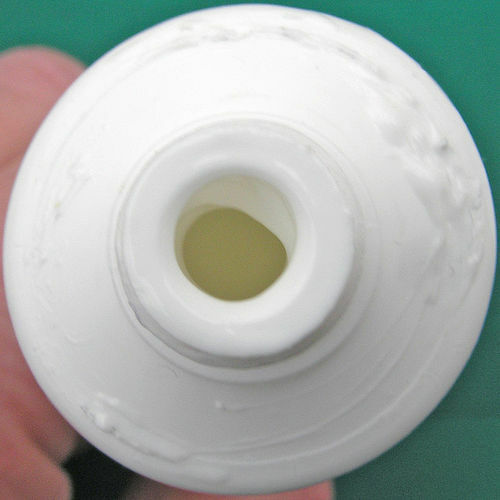 For instance, sodium lauryl sulfate (SLS) – a common foaming agent also used in shampoo, dish soap and other products – has been shown to damage the soft tissues of the mouth. Some also contain remineralizing agents, although there’s little evidence that they strengthen enamel as the ads say they do. Others tout antimicrobials such as nanosilver and triclosan. We still don’t know much about nanosilver’s biological effects, though early animal studies suggest cause for concern. Triclosan, on the other hand, is a suspected endocrine disruptor and probable carcinogen. The chemical reaction that occurs when it’s combined with chlorinated water (98% of the public water supply) produces chloroform. Fortunately, it’s easier than ever to find gentle, natural alternatives – pastes made without detrimental ingredients, with essential oils and herbal extracts that support oral and dental health. This article from Natural Solutions contains some good tips on choosing one. Good Dr. Mercola, finally real Holistic odontology is getting to the people and with the honest, right information.